I’ve been reluctant to create a new post, mostly because I’ve loved pulling up the blog and seeing David’s cozy picture of our den (sigh) at the top of the page. I love his photography. You can see some more of in tucked in the archives of this site. If you go there, you might also want to read his latest blog entry. It’s very touching. Okay, plug is over. –But the race is on: the Christmastime flavor poll has heated up, with pumpkin spice and eggnog neck and neck. Poor tabasco. Genius. I’d hate to go up against Fezzik in a Rhyme-Off. Do any of you have the gift for rhyme? Anyway, that movie always brings a grin to my face, and I’d thought you’d like a smile, too. Only consuming chill and cavernous echoes provide company. Always pale with wisdom, soft hairs without number. Even as darkness returns for a moment. Is your Christmas season already hectic and hurried? In the midst of it of all, I hope there’s a place in your home or your memories that is restful and comforting. 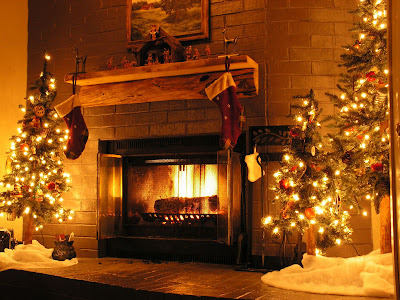 Here’s mine: this is a picture that David took in our house last Christmas. I love our little Christmas tree forest and our fireplace. The sight of the trees and the sound of the crackling fire never fail to relax me. I wish I had some impressively deep insights for you in this post. Instead, I offer simply a prayer that you can carve out a time and place to rest in the warmth of Christmas and its true meaning. 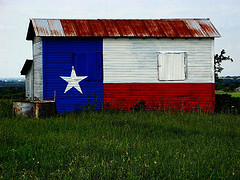 My inner Texan has been unleashed! I’ve been enjoying a “girls weekend” in Texas with three very good friends and the kind husband of one who tolerates all of us invading their house. I’m so thankful to God for these weekends with them, although I do miss my sweet husband very much. So life is pretty good when you get to have new adventures with wonderful friends and your biggest worry at the moment is where to get a tasty caffeine fix. These are times to treasure.